Rishaad Bilimoria is currently a Principal at the Tata Opportunities Fund, a USD600 million Private Equity Fund at Tata Capital. In his current role, Rishaad has been actively involved in the Fund’s investments and portfolio monitoring. Prior to Tata Capital, Rishaad previously worked at JM Financial Private Equity Fund, a US$ 225 million growth capital private equity fund. 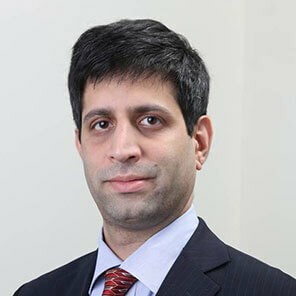 Rishaad has also worked with JP Morgan Chase in the investment banking group in New York and London. Rishaad holds a Bachelor’s degree from Harvard University, Cambridge, USA in Economics and an MBA from the London Business School, UK. A keen sportsman he has represented India at International Squash Tournaments from the time he was a young boy of 14 years. He holds the National Junior Squash Championship title and was Captain of the Harvard University Squash team.